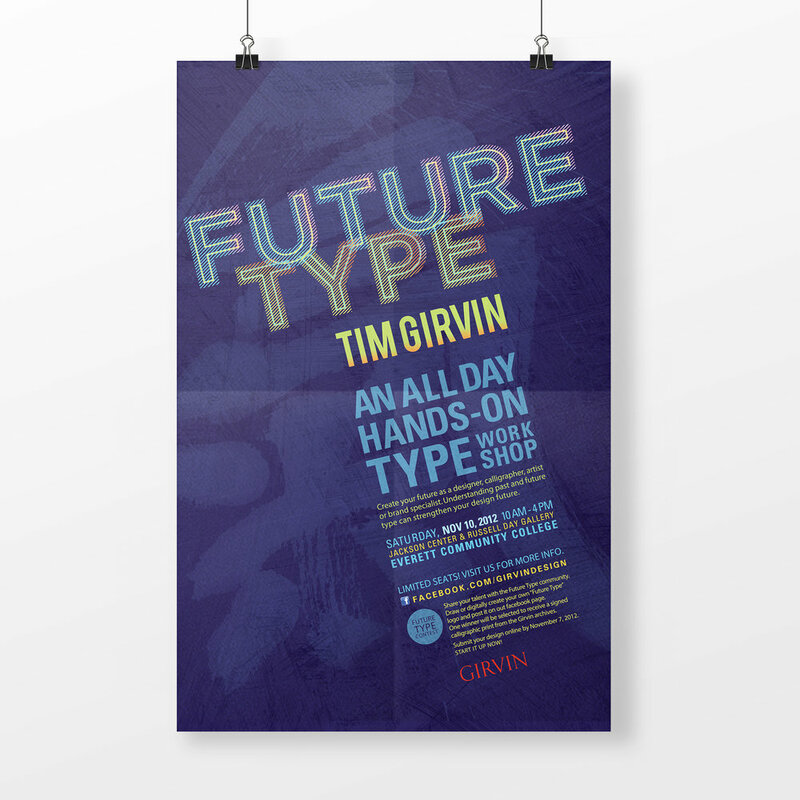 Objective: Designing event promo package to for Tim Girvin’s Future Type workshop. Future Type is an all day, hands on TYPE workshop. Audience will participate on 2-hour talk given by Tim Girvin, a demonstration of Tim's Calligraphy to Music. There is a gallery exhibit which will feature calligraphy & typographic work done by Tim Girvin and the GIRVIN, Inc. team over the past 30 years. The direction that I took for this Event Promo is a fusion between the flow of calligraphy and the mathematical precision of type design. The organic use of color represent contemporary taste and attractiveness. Deliverables: Poster, postcard, web banners, and e-mail invite, and facebook promos.